The many suppliers that every once in a while supply you with thousands, sometimes tiny, but oh so very essential parts. You cherish them. In fact: you could not do without them. It’s just those invoices… You get them in all shapes and sizes. The processing of those is time consuming, not to mention error-prone. Or… that recurring order you get for thousands of rubber rings. They’re the best bits for your company. But buying an entire EDI environment, just to send an message. Is that really necessary? Via OMSconnect, OMS International’s webportal, any messaging standard for e-invoicing, as well as all sorts of other digital documents can be sent, converted and received. Suppliers simply log onto the webportal using their own username. Subsequently, they can type in their invoice details or upload a digital message, such as an Excel document. Using the system behind the webportal, the message ends up in the client’s software with the correct specifications. Fast, efficient and without the risks of manual entries. If necessary, OMS will help suppliers find their way around OMSconnect. 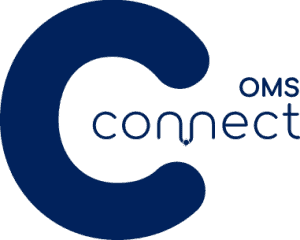 OMSconnect makes e-invoicing fast and simple. Do you as a client want to make e-invoicing even simpler for your suppliers? We can also integrate OMSconnect into your own website, using your own look and feel. Want to know more? Contact us by phone: +31 (0) 345 638 600.